Generic drug manufacturers can pose major financial threats to the companies that invent and develop the copied drugs both domestically and internationally. Even after a pharmaceutical company is granted patent protection on its products, there are other concerns about generics that Big Pharma face from abroad. 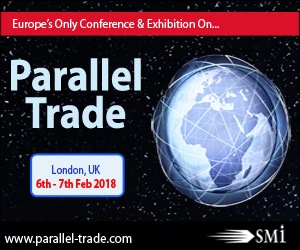 SMi’s 12th annual Parallel Trade conference, will return to Central London, 6th – 7th February 2018 to explore the relationship between parallel trader and the pharmaceutical industry. Already confirmed attendees include MHRA, Merck, Ferring Pharmaceuticals Ltd, Medac GmbH, Orifarm Generics, Bristol Myers Squibb, Eli Lilly, Novo Nordisk, Boehringer Ingelheim, Novartis and many more. Christopher is a recognised expert in parallel trade, with a focus on the pharmaceutical sector – his 2007 textbook, “Parallel Trade in Europe: Intellectual Property, Competition and Regulatory Law,” has been cited by the UK Supreme Court. Christopher is also an experienced litigator on cross-border patent disputes, other types of intellectual property, antitrust, pharmaceutical regulation, EU law and commercial disputes. He has taken cases before the First Tier Tribunal, the Upper Tribunal, the Patents County Court, the High Court, the Court of Appeal, the House of Lords, the Supreme Court, the European Patent Office, and the European Court of Justice.